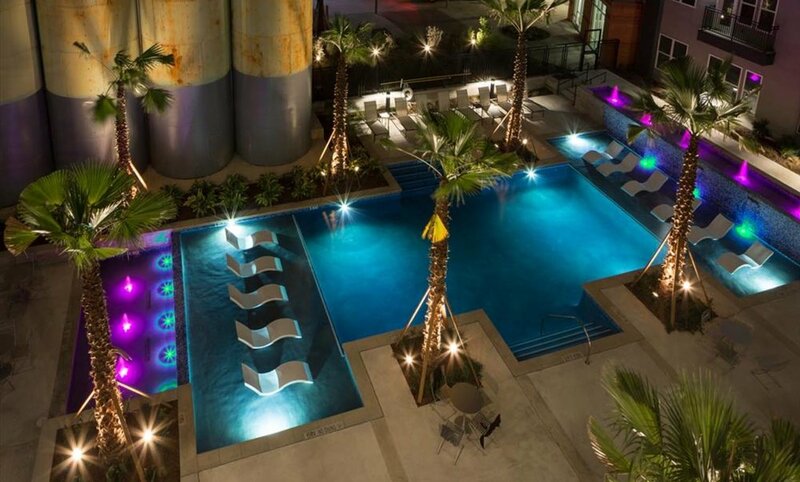 Downtown living just steps to the riverwalk is yours when you book your next temporary stay in San Antonio at The Flats at Big Tex. 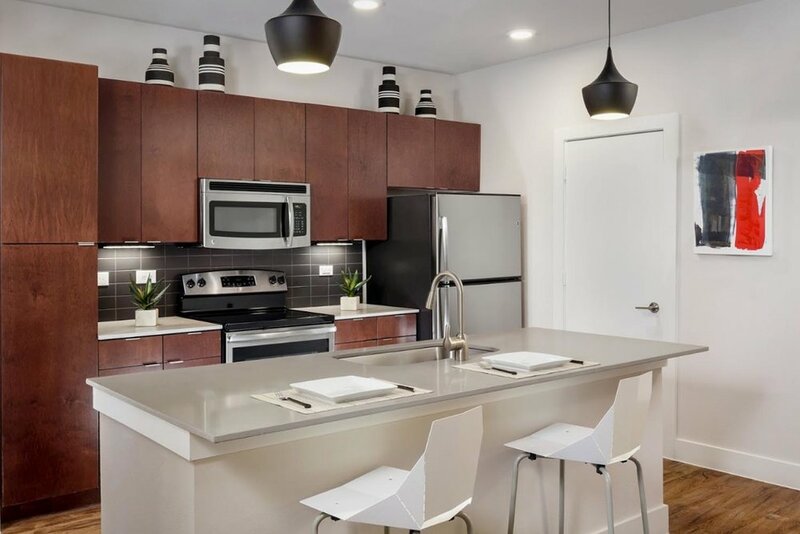 Luxury amenities include plank wood flooring, quartz kitchen countertops, stainless steel appliances and contemporary lighting and fixtures. 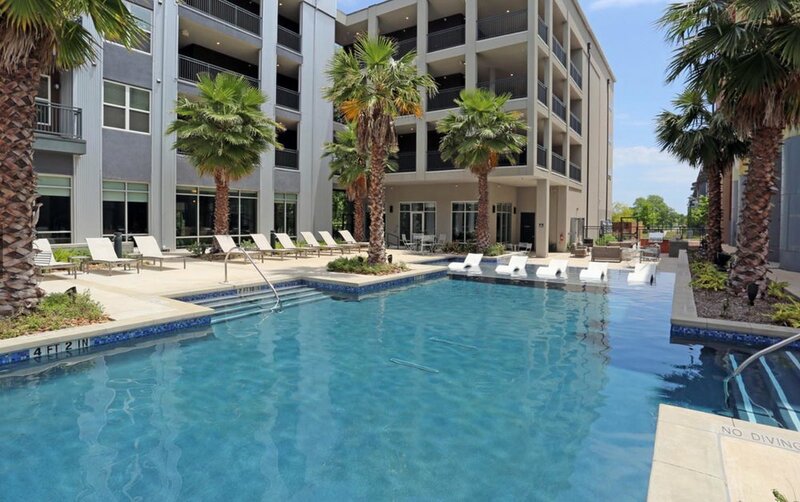 Keep fit in the 24-hour fitness center, swim in the resort style pool, and enjoy the 4th floor social lounge and WiFi cafe with skyline views. 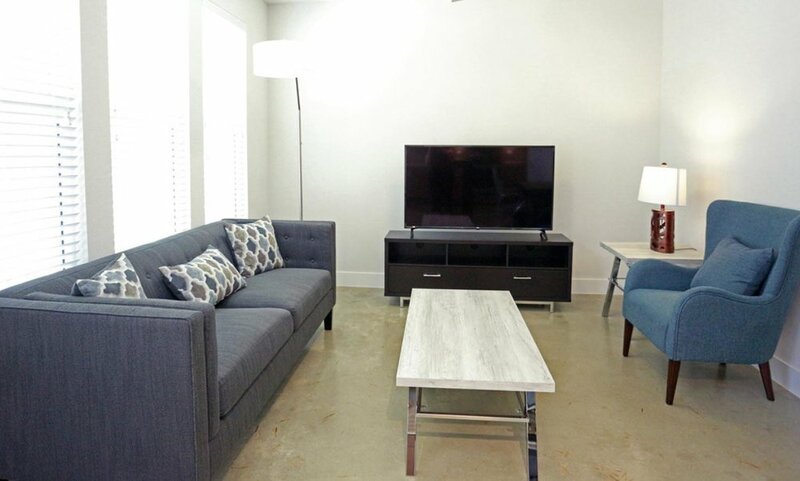 Enjoy life along the river when you stay with ExecuStay Midwest in your furnished apartment in The Flats at Big Tex. 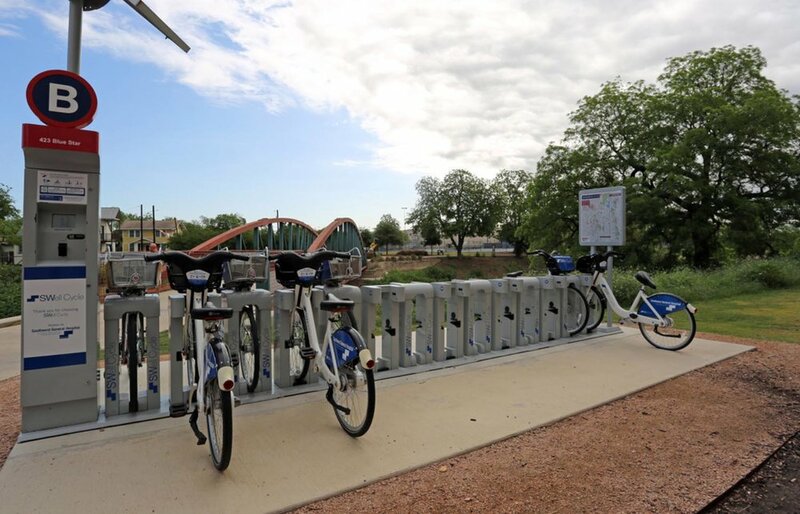 Located in the King William neighborhood and just steps from the riverwalk; enjoy all the shopping, dining, and eclectic shops San Antonio has to offer.